In other words, what all the doctors and your surgical team never tell you. I am about 2 and a half years out of surgery, I was told when I started this journey that I would initially lose about 70% of the excess weight. For the most part that is very true. After surgery the pounds do just drop off, it's actually quite amazing. Especially for people that have an actual hard time losing any weight at all. Usually it's harder to lose weight as you age along with years of yo-yo dieting a person's metabolism just starts to give up on you. As for women who hit premenapause and post menapause, it's even harder to lose any weight. But as with everything that we know of this world, the honeymoon always comes to an end. Sometimes the end is wonderful, other times, it makes you feel like you are back in the same old boat but more pissed off. 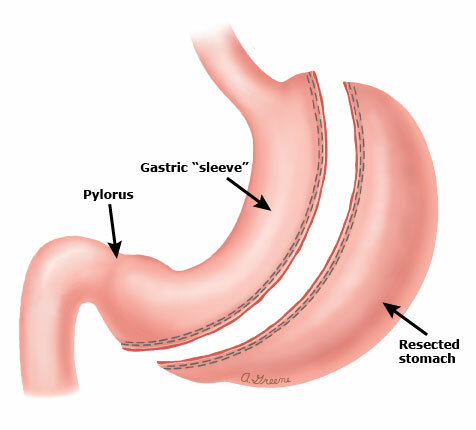 I think that it's really important for people who are considering this operation, specifically the gastric sleeve, like I had, understand how this operation will affect the rest of your life. This really isn't a temporary thing, this is it, for the rest of your life. I was very lucky to not have any bad side effects to this procedure, however the risks are and can be real, including your stomach staples coming undone, or your stomach twisting. After all, your stomach just went from being a pouch to a tube. Its also very important to DO EXACTLY WHAT YOUR SURGEON TELLS YOU. If you don't, the chances of you being sorry, are very high! I stopped losing weight a little over a year out from surgery. I think it was about 14 or 15 months out. I did, indeed lose about 70% of my excess weight. The older you are, especially if you are a woman, the harder it is to lose the other 30% and it's usually a struggle to keep what you did lose off. Expect to gain at least 20 lbs back from your lowest weight. Let's face truths here, You do not eat right, that's what got you to the point where you needed this operation. Unless you make drastic changes in the way you eat, YOU WILL gain weight back. If you eat too much food, you will throw up. If you are a week out of surgery or 5 years out of surgery, if you eat too much it will make you sick. If you are throwing up, you probably ate too much. Try to drink some water to get it through your tube of a stomach. Some foods you will never be able to eat again because they will make you feel sick or be too heavy for your stomach tube. If you eat too much sugar, you will dump. You will never be able to eat more than 8oz of food at one time, a lot less when you first have it done. I think I was at 3 or 4 oz when I first had my surgery, now I'm at about 6 to 8oz. Your farts really stink, and seriously, I'm not trying to be funny here. They. Really. Stink. Constipation is a huge problem, make sure you get plenty of fiber, I live on fiber gummies. Your nails will get weak and you may initially lose some hair, make sure you take biotin and keep them polished! You need the multivitamin, so don't forget them. Soda, Bread, Rice, Pasta = BAD, BAD, BAD & BAD everything in moderation now, remember you don't want to make yourself throw up, do you? Online support groups are crap. If you need information, ask your doctor not some wanna be know it all! You won't really be hungry but head hunger or boredom are real problems to overcome. Expect to come off some, if not all, of the meds you were taking before. Unless of course they weren't for a weight related problem to begin with. If you are sad because you can't eat a whole pizza or drink soda anymore, try getting a life, no one wants to hear your stupid poor me attitude.